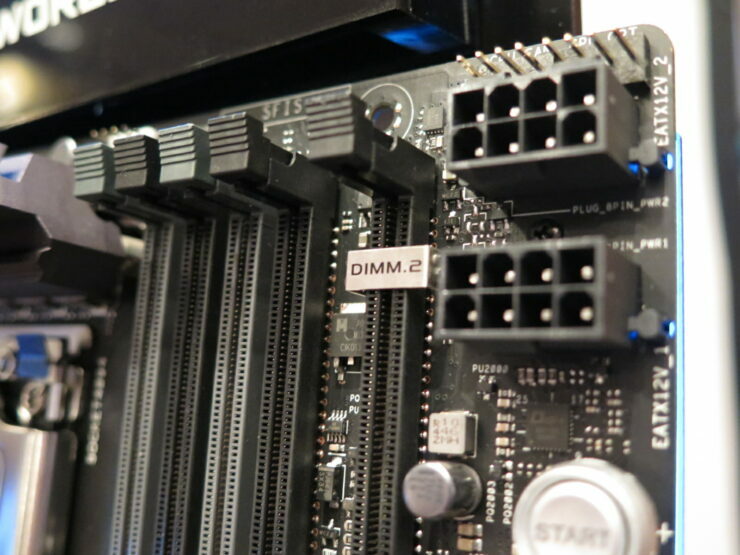 Re: There is also a riser board by the rightmost DIMM slot that reportedly holds two M.2 22110 connectors. to the DMI 3.0 link? Ah, looking at the [H] thread, it makes more sense why they called it a DIMM.2 slot, b/c it is a DIMM slot ;-). With the riser board installed it was hard to tell. I am not sure how that DIMM.2 slot is wired up as far as how many lanes it has or if it goes through the chipset or not. It's possible it's a direct CPU link I suppose, but I would guess it'd still be limited in the # of lanes allocated to it, would be awesome if it got more than x4 though for sure! Maybe with X599 we will see AMD team up with Micron for some XPoint DIMMs over the DRAM interface ;-). Not very 'workstationish' board. Even shafted SATA connectivity to 6 ports. Aimed squarely at gamers (yeah I know 32 thread gaming... of course RGB) and benchmarks. 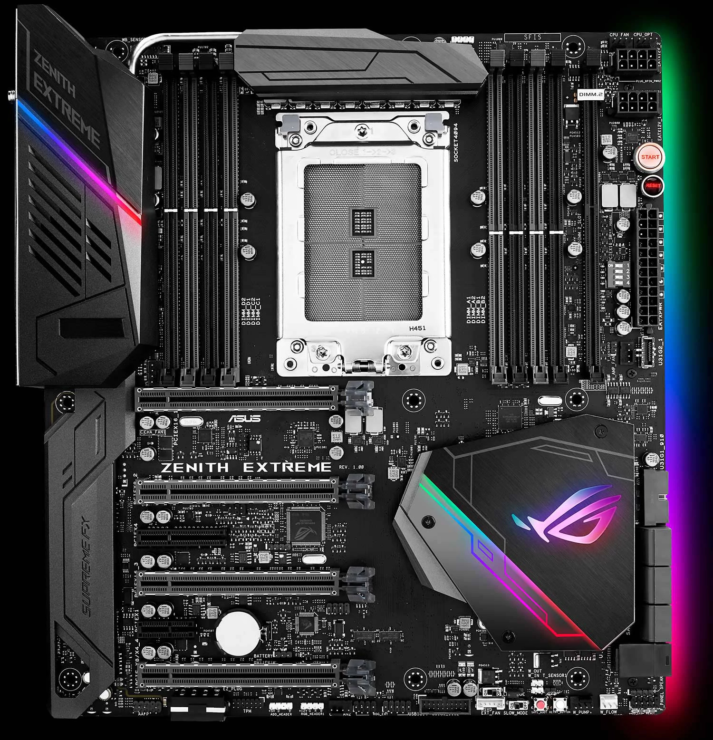 Looks like all motherboard vendors force people who want something more storage-wise to buy more HBAs or RAID controllers. Ehh Nuts. I dont use any SATA port.So it makes me wonder who needs 6 ports in a workstation (not a server). OS on high speed M.2, then you have two more m.2 for high speed data, then you can add 20 terabyte of local storage in Raid 10 and still have 2 SATA port left over. Mos higher-end users are running NAS devices for big storage. We care more for the 10G than having local SATA ports for big local storage.